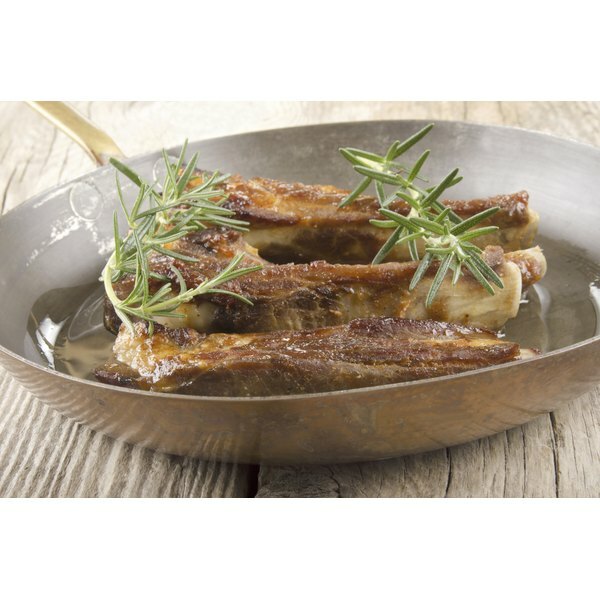 Pork ribs in a pan with oil and rosemary. 2 How Long Can You Cook Beef Ribs at 300 Degrees? Ribs are a cut of meat that is taken from the upper torso of the animal. Pork ribs and beef ribs are most common, but other types of animal ribs are available in some specialty markets. 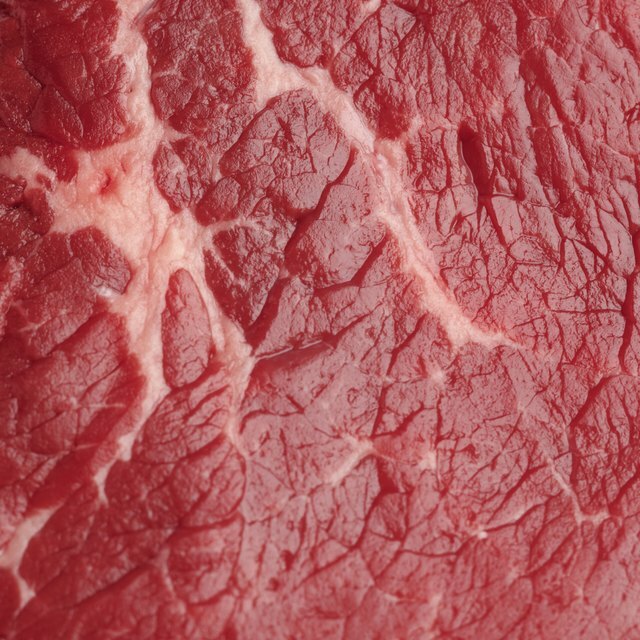 Both pork ribs and beef ribs are high in protein, iron and riboflavin. Searing meat is a method used to seal in the natural juices before cooking to ensure a moist and flavorful product. Ribs are usually cooked slowly for a long time, making them ideal for the searing method. Rinse the meat on both sides under cool, running water. Pat the ribs dry with a paper towel. Season both sides of the meat evenly with salt, pepper and any other seasonings of your choice. Heat the olive oil to medium-high in the skillet. Place the ribs in the oil, meat side down. Cook the meat for five minutes or until the outside reaches a golden brown color. Flip the ribs with the tongs and continue cooking on the other side for five minutes. The meat will be golden brown on both sides when searing is complete. Complete the cooking process once the ribs are seared well on both sides. Why Do Pork Chops Turn White?